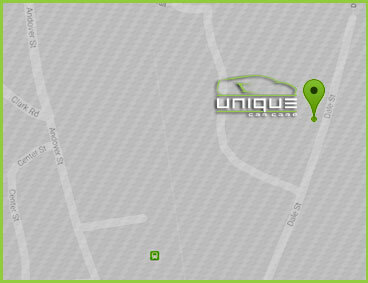 Unique Car Care is well known for its award-winning auto detailing. 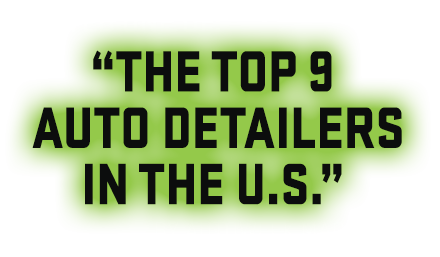 Rick Nelson, the owner of Unique Car Care has been in the car care business for 24 years and has been rated “One of the Top 9 Detailers in the US”by Autoweek and was mentioned as “One of the Top Car Care Detailers in the Nation” by dupont REGISTRY. In addition, we were voted the #1 Auto Detail Shop in Boston by Boston A-List for 2017. Our detailing services may cost a little more than other local shops in the Boston area due to many factors. The biggest factor being that we spend an average of 12 to 25 hours on a paint correction type detail. It is not uncommon for us to spend an excess of 50 hours in extreme cases, but most vehicles fall into the 12 to 25 hour timeframe. If you factor in the time it takes to perform a detail, the cost of quality tools & materials, having the proper insurance and the experience to back it up, we feel our pricing is extremely fair. In this particular business, you truly get what you pay for. Every vehicle is unique in its own way and every client has different expectations, so pricing can vary quite a bit. No matter what kind of vehicle you drive or level of service you’re interested in, we will do whatever it takes to meet both your requirements and budget without compromising quality. Every car that we service is a rolling advertisement of our company, so be confident that we will go above and beyond the call of duty to ensure your vehicle looks better than you ever could have imagined. Vacuum complete interior & trunk, shampoo all carpets and upholstery, wipe down all interior surfaces including cupholders & vents, apply UV protectant to interior surfaces (non-greasy, matte finish), apply leather conditioner, clean floor mats and clean windows. This includes everything included in the stage one treatment, plus an additional compounding step which removes more serious swirls/scratches. This stage is recommended for vehicles that are older or have significant scratches and/or moderate swirl marks. Recommended for vehicles that are in rough condition or for those looking for the very best. 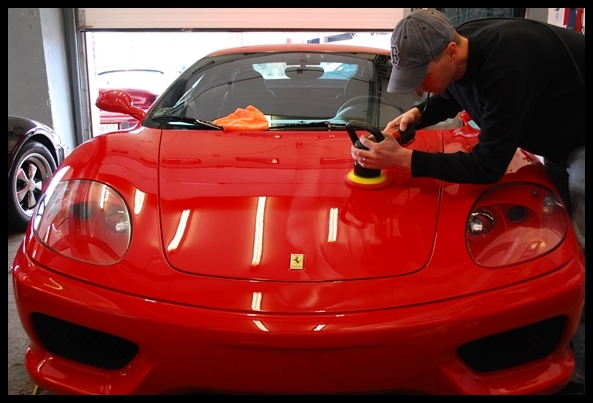 Before any paint correction is undertaken, a thorough wash and decontamination of the vehicle is performed. Paintwork is properly washed and cleaned to remove any loose dirt and debris, then after the wash process, it is clayed with an automotive clay bar, which safely removes any bonded surface contaminants such as tar spots and industrial fallout. It is important these contaminants are removed before the paint correction process because if they were to become dislodged and caught up in the pad of a polishing machine, they could easily inflict damage onto the surface very quickly. It also helps to leave the surface very smooth, which in turn, allows the polishing machine to move freely over the surface, reducing the possibility of hopping or sticking occurring. 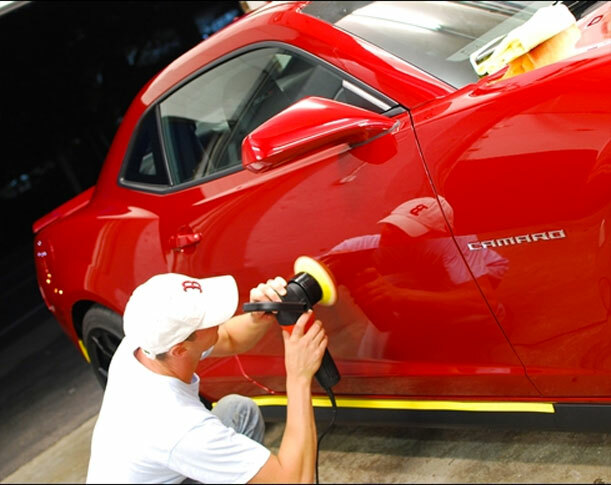 Claying the paintwork helps you to properly observe the progress of the correction process because you can see the true condition of the surface as you are working. A fully corrected vehicle when viewed in direct sunlight will show only true reflections. Paint correction is a very labor intensive process and is usually the most time consuming part of the car detailing process. 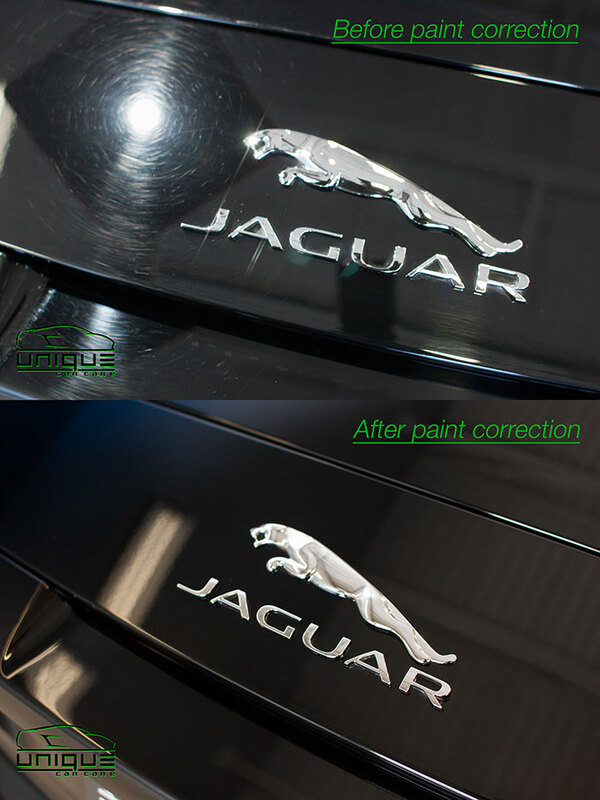 In conclusion, paint correction is the process of removing surface scratches and imperfections from a vehicles paintwork, which involves the use of machine polishers and a range of different polish products. A fully corrected vehicle when viewed in direct sunlight will show only true reflections and no swirl marks, scratches or blemishes will be visible to the naked eye.